“The Formosan Encounter—Notes on Formosa’s Aboriginal Society: A Selection of Documents from Dutch Archival Sources” Vol. III was published by the Shung Ye Museum of Formosan Aborigines. It is the third in a series of collections of Dutch documents during the period of Taiwan’s territorial rule by the Dutch East India Company from 1624 to 1662. 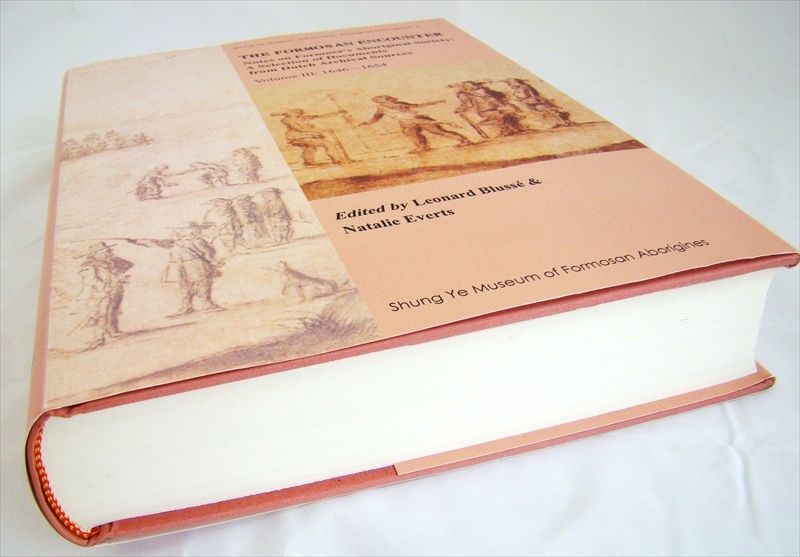 This volume details the time from 1646 to 1654. The bulk of the documents in this collection is from the General State Archives in The Hague, and include correspondence with the Governor and Council of Taiwan with the High Government at Batavia (the Company’s headquarters in Asia), which in turn reported to the Company directors in the Netherlands. The Zeelandia Castle (the headquarters of the Dutch East India Company in Taiwan) Diary entries are also included, as well as observations by Dutch Reformed Church clerics and missionaries.